"Are you going to be OK?" How close are you to all ‘that stuff’? Those are the questions people ask me the most when they discover that I’m headed to Japan in less than a month. While it’s sweet of people to be concerned for my well being, it’s also a little annoying to hear the question repeated on almost daily basis. I’m headed to Okinawa. It’s a small island off the coast of the main island of Japan. It is also south and west of where the worst of the earthquake/tsunami damage is. Also, it’s the military — as a dependent, I would not be sent into an area that wasn’t safe. They’ll send the active duty guys all day long, but if it’s really a threat to lives, families are going to be sent home. Yes, I’m aware that families have been sent home. Those families were located in a base near Tokyo. I will not be living near Tokyo. So how far is Okinawa from Tokyo? 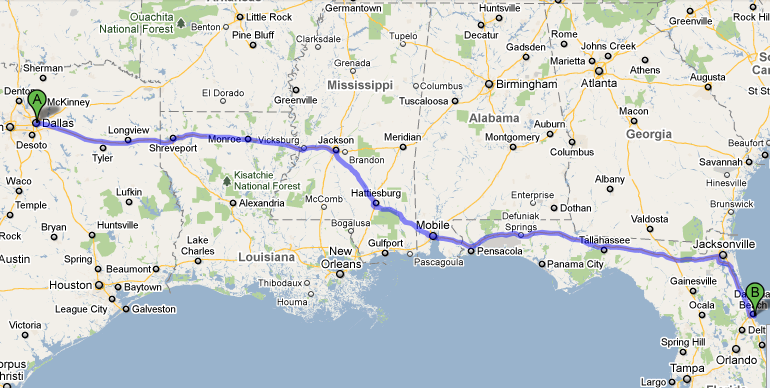 About as far as Daytona Beach is from DFW. 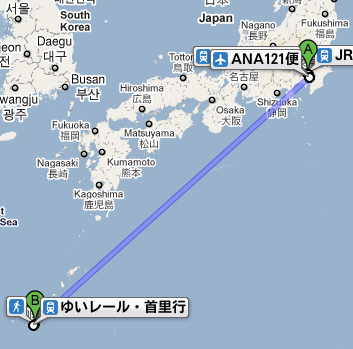 So there’s a pretty good distance between where I’ll be in Okinawa and Tokyo. Also..I’ve realized it’s been almost a month since I last updated, but life has been super crazy busy. All of our belongings have been packed and are in storage waiting to be shipped over. We’re living at my mom’s house, out of suitcases, in the meantime. The Bagpiper leaves April 27 (he was supposed to leave today, but his area clearance didn’t go through in time). With any luck, I will fly out May 17!